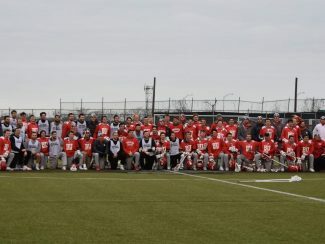 Boston, Massachusetts – The Éire Men faced the NCAA Division 1 Boston University Terriers in a pre-season scrimmage on Saturday, 19 January. BU, under the direction of head coach Ryan Polley, is an NCAA Division I program, top-25 ranking, and powerhouse in the Patriot League. 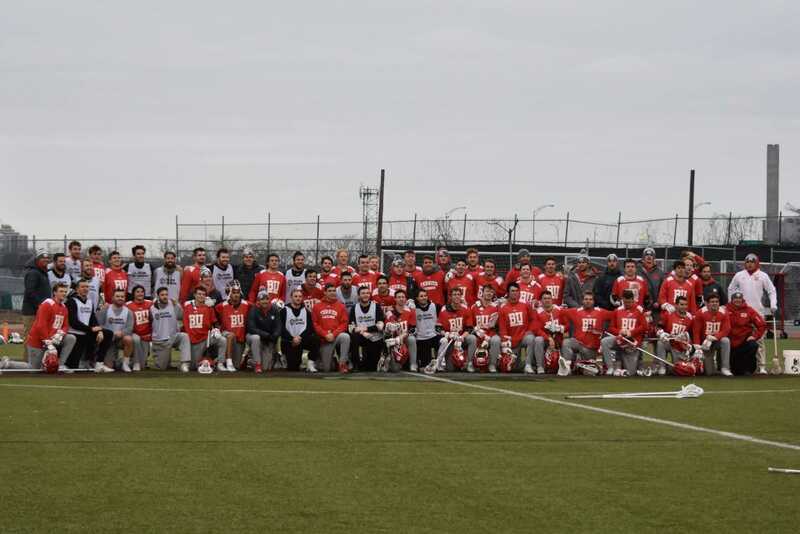 The Éire Men’s team took them on in a pre-season scrimmage. The format of the friendly was four, 15 minute quarters (each treated as an independent game, with the game). In the first quarter, Éire jumped out to an early 2-1 lead with goals from Charlie Fay (Bates College) and Matt Thistle (High Point, Éire Heritage Cup 2018). The remainder of the quarter was back and forth, BU tallied the game winner with 11 seconds left to take the win, 4-3. Second quarter action was again back and forth. Conor McKeon (Éire WLC 2018) and Mike McMennimen (Éire WLC 2018) created some early transition to a Doug Bergner (Éire WLC 2018) finish to tie things up on the score board 2-2. The terriers once again had last minute heroics to take the win 4-2; netting two quick goals under 60 second left. 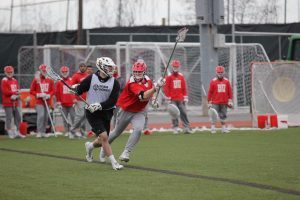 In the third quarter, Boston University leveraged their superior numbers and fresh legs and controlled the entire quarter, 5-1. The final 15 min stanza however, Éire was able to slow do the pace of play and out last the Terriers efforts for a clean sweep. Goalie, Cameron Bell (Éire Heritage Cup 2018) posted 9 (24 on the day) in the fourth quarter alone. Sean Lawton (WNE) twice found Charlie Fay (Bates College) who finished twice mid way through the quarter. With 30 seconds left BU had an extra man opportunity to equalize, but Éire defense lead by Scott Corcoran (Merrimack) was too much for Boston University to break and sealed the victory 4-3. 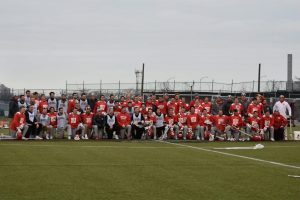 Andy Meyers (Men’s National Team) lead the team collecting 8 ground balls and posting 2 goals and 2 assists on the day. 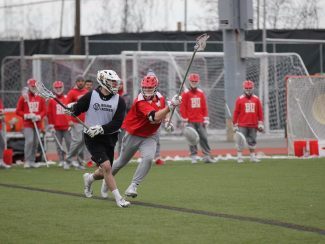 Luke Palemdesso (Men’s National Team) neutralized the BU faceoff committee going 13/25 at the Faceoff X.
Merrimack College’s James Basset (3CT, 6GB) and Scott Corcoran (5CT, 8GB) were dominate throughout the day on defense.